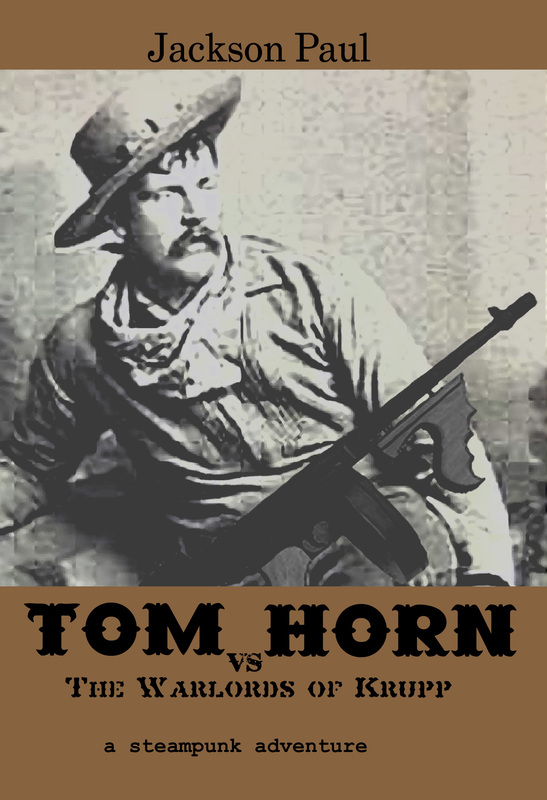 Here’s the old cover, taken from a historical photo of the real Tom Horn. I will be the first to admit that I am a novice in the field of self-publishing. But I have learned a great deal since I jumped into the business at the beginning of 2012. Probably the most significant thing I have learned was how critical two things are as far as book sales are concerned: (1) a great cover; and (2) professional editing. Problem is, both of those cost money, which most beginning indy publishers just don’t have. My steampunk book, Tom Horn vs. 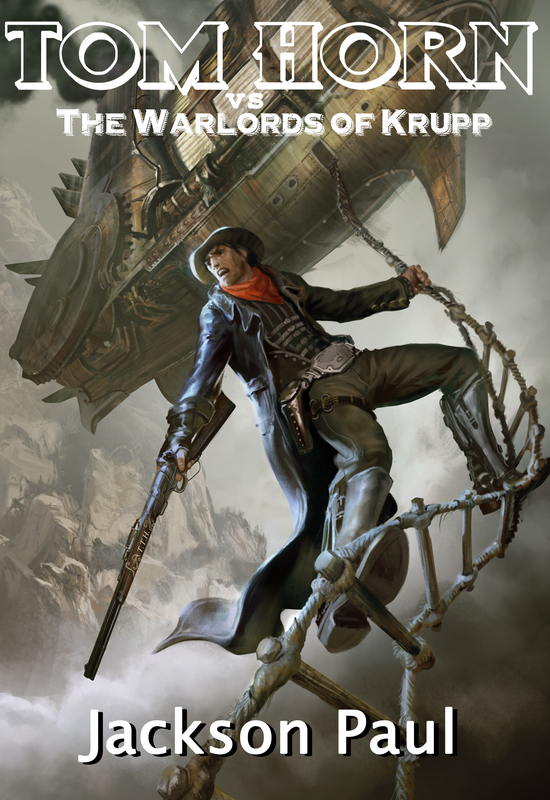 The Warlords of Krupp, was launched several months ago, and has received mixed reviews. Some people really like the story, with some even asking when the sequel will be out. Others criticize it for faulty editing and a weak cover. Well, after six months of work, I think those issues have been resolved. I have been working with Mateusz Ozminski, a young illustrator in Poland, who has finally come up with a new cover for Tom Horn. And it is amazing to me the difference the new cover makes. Even from my perspective, just having a professional cover to me gives the project credibility. In the meantime, a full edit has corrected the majority of errors that readers were concerned with. So I encourage you to visit Amazon, Barnes & Nobles or Smashwords and pick up a 99 cent copy of Tom Horn vs. The Warlords of Krupp. Mateusz and I are already talking about the sequel, which we hope to have out soon. I love the new cover! I’m so excited there is going to be a sequel! I do agree that a cover can make a big difference on the consumer when thinking of purchasing a book. I will admit sometimes I pick up a book because either the title or the cover caught my eye. Sometimes it turns out to be a great find. The other times, not so much. That new cover is sweet…Amazon doesn’t have your book in stock anymore and I was bummed, but now I want the book with the new cover. I didn’t realize Amazon had cut it, so I checked and you are right, Steve. I just reformatted the interior and will be resubmitting the paperback version. Hopefully we will get it available soon.